Nature has given us so many beautiful items, among them, one is Lady Onyx Pink Marble, one which is formed underground due to crystallization of limestone. Having heavy veins and grains texture, this one is naturally made from calcite (a crystalline form of calcium carbonate). 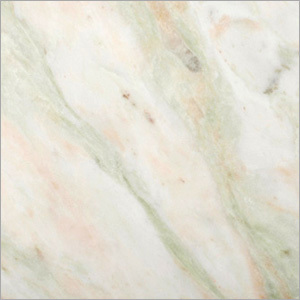 Pink marble is extensively famous in the market for its low refractive index which allows penetration of the light upto the depth of several millimeters and thereby give waxy look to its surface. One can find extensive use of Lady Onyx Pink Marble in many sculptures, wash basins, bath tubs, building material, souvenirs, artifacts, table tops, wall cladding, etc. From years, this has remained one of the most demanded decoration and construction material owing to its attractive patterns and pleasing color. Available in different types of finishes like sawn (rough), sand blasted, polished, honed, bush hammered and flamed.